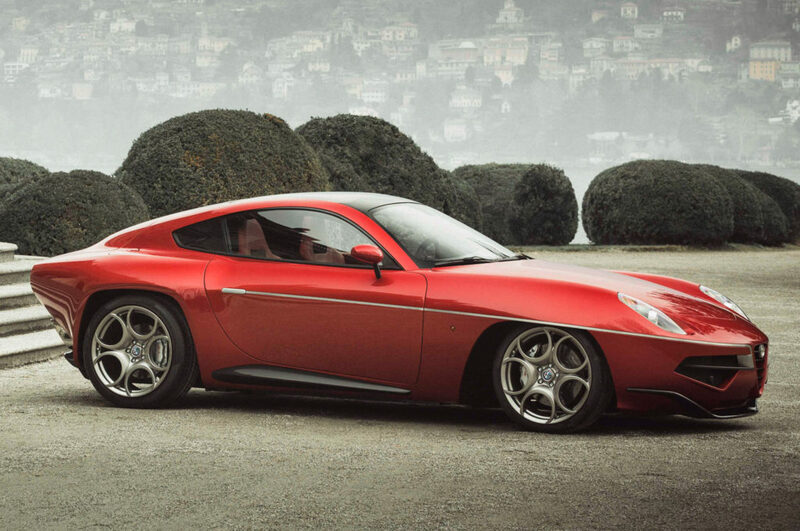 Based on the Alfa Romeo 8C Competizione, Alfa Romeo Disco Volante by Carrozzeria Touring is a two-seater Gran Turismo coupé, itself inspired by the original 1950s Alfa Romeo Disco Volante. The 2017 Disco Volante was made available to a select group of discerning consumers in a very exclusive production limited edition and built only on demand. 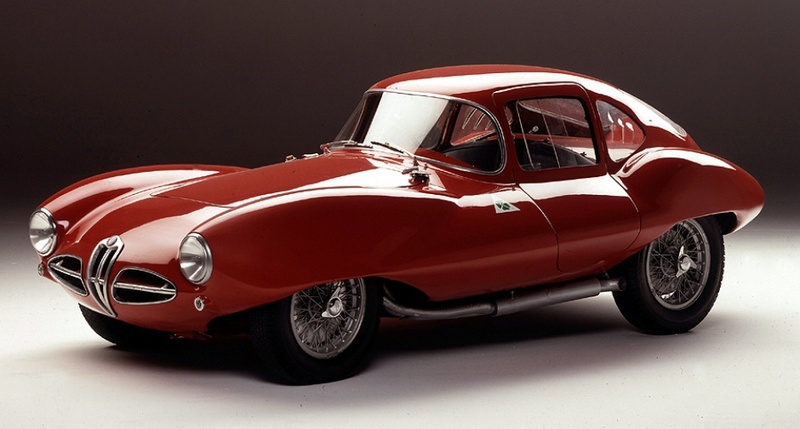 Disco Volante, or translated from the Italian, Flying Saucer, was an apt name considering that back in 1952, at the height of UFO hysteria, the Alfa Romeo C52 Disco Volante was a series of experimental sports racing cars produced between 1952 and 1953. The collaboration between Alfa Romeo and Milanese coachbuilder Carrozzeria Touring was an exercise in space-age (as they imagined in the 50s) styling. 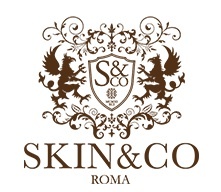 “We focused on the preservation of the design essence. Once the design frozen, we had to understand the manufacturing problems and solve them right away without compromising the design.” said head of design, Louis de Fabribeckers. Coach built in the Touring atelier, Milan, the Alfa Romeo Disco Volante by Touring is a limited series production model for collectors and discerning drivers – Each unit will be handcrafted, requiring 4,000 hours of manual work and will be built only on demand. Beginning with the 1952 style icon as a template, the latest Touring Disco Volante was re-interpreted with a slightly higher bonnet needed for the engine bay ventilation while retaining the original proportions. What results is an aggressive and modern look, launching the Alfa Romeo Disco Volante 2017 into the pantheon of supercar design icons. 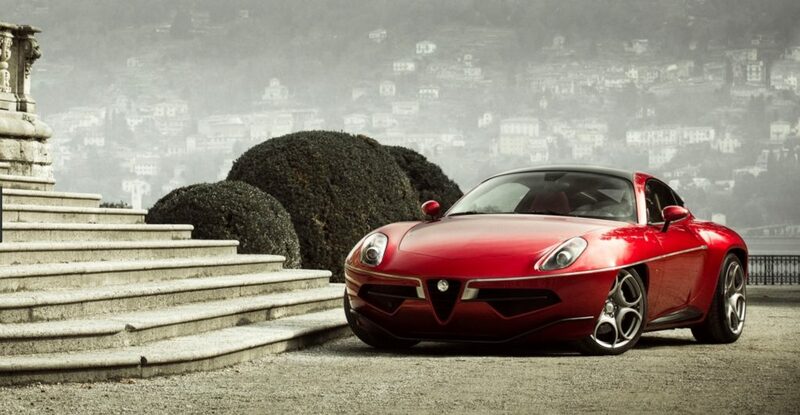 The newest Touring Alfa Romeo Disco Volante is very much a contemporary descendent of its legendary 1950s predecessor but equipped with modern electronics, mechanics and aesthetics – an Alfa Romeo 8C Competizione supplies the rolling chassis and drivetrain with the electrics and electronics systems. The Gran Turismo Coupe will accelerate from 0 to 100 km/h (62 mph) in 4.2 seconds; it can reach a top speed of 290 km/h (180 mph).